This entry was posted in faculty, gramstory, video on January 3, 2019 by Jovan Hackley. Smartphone application brings news, events, and students services to iOS and Android devices. 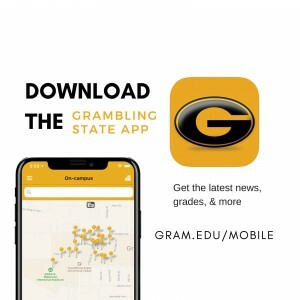 Whether you’re a current student, future student, faculty member, or alumni, Grambling State’s new mobile application makes it easy to get engaged with Grambling State. This entry was posted in academics, bringithome, campus, events, invest, registration, studentlife, video and tagged mobile on October 2, 2018 by admin. It’s been a busy summer for Jordan Taylor. 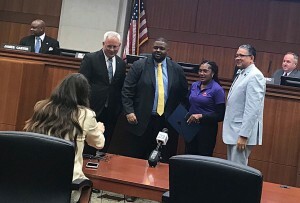 In just a few months he’s gone from helping a customer in need to national headlines, a free car, and more than $125,000 in support to achieve his college dream of becoming a Grambling State University Tiger. Taylor, a freshman Math Education major, garnered local and national media attention after a social media video went viral. The video showed him helping a customer at Rouse’s supermarket where he worked. That customer, Jack Ryan Edwards, age 17, has autism and was shopping when his father when Jordan and he met in at the Rouse’s on Drusilla Lane in Baton Rouge, Louisiana. Jordan, from the entire Grambling State University Community, welcome to the #GramFam. This entry was posted in awards, gramstory, studentlife, video on August 23, 2018 by Jovan Hackley. Here are three easy steps to make sure you don’t miss out. This year’s host hotel group discount is $114.50 per night (including tax). Mention the GUNAA Convention to get the special rate. If you have questions about registration or hotels, please contact the GUNAA Office at office@gunaa.net or (318) 247-6770. So now that you’ve been invited…. Let’s get registered! This year’s National Alumni Convention promises to be a great one focused on Leveraging the Power of One Grambling to help GSU deliver continued Academic Success, University Advancement, and Operational Excellence. This entry was posted in alumni, gramstory, video on June 19, 2018 by Jovan Hackley. This summer Grambling State University’s campus is showing brick and mortar signs of the institution’s growth. From alumni giving to new Federal funding and record enrollment, the University’s seen steady momentum since the 2016 installment of its 10th President, Rick Gallot. Most notably, the recent demolition of the C.D. Henry Natatorium began to make way for the school’s Intramural Center expansion project. The expanded Center, which currently houses more than 100 sports and health programs, will include a new pool and community programming areas. The Intramural Expansion project is just one of a number of construction projects. In addition, the University’s Facilities team is managing a series of campus-wide improvements that will impact students starting Fall 2018. Computer labs, smart boards, and supporting infrastructure upgrades are in progress in a series of campus buildings including Carver Hall and Jacob T. Stewart Hall. A joint project of the University’s facilities, information technology and safety departments is underway bringing new lighting, signage, security, and monitoring upgrades to the campus’ highest traffic areas. Buildings impacted include Charles P. Adams; Brown and Carver Halls; and the Betty E. Smith Nursing Building, which houses GSU’s new Bachelor of Science in Nursing program slated to kick off Fall 2018. The Betty E. Smith Nursing Building will receive a series of upgrades. They include new seating, audio/visual capabilities, and integrations with new smart presentation technology to better support some of GSU’s largest classes and events. Carver Hall, which houses a number of science courses, faculty, and programs, will serve as home to a fully-enabled new video conferencing lab. 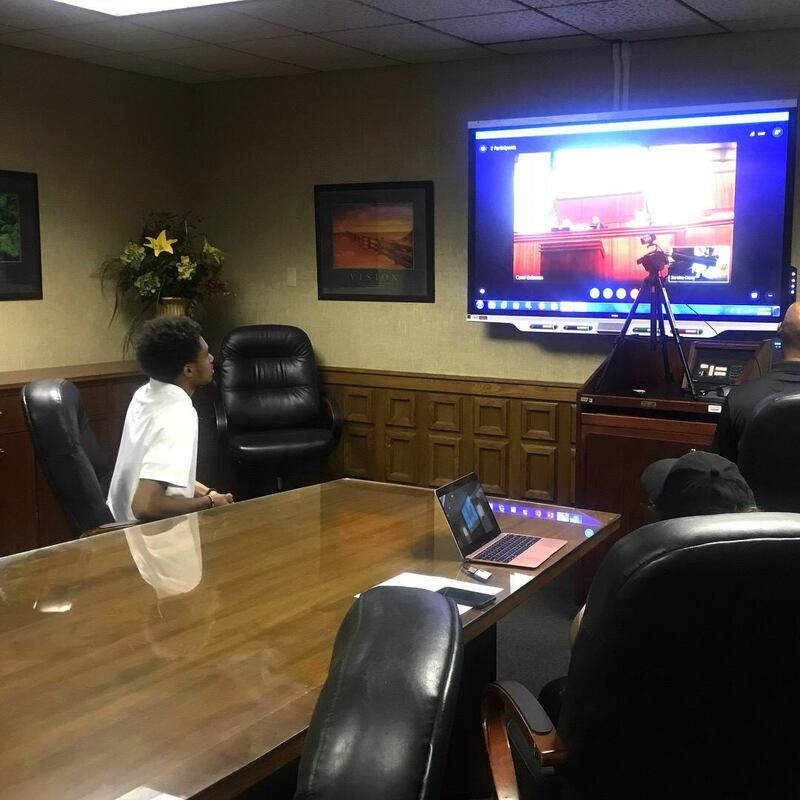 The upgrades will help power student learning and research engagement with NASA, FEMA, ESPN, and a number of other nationally funded grant programs. Woodson Hall, Adams Hall, and the Favrot Student Union bowling alley will see a number of large improvements bringing all three buildings fully online by Spring 2019. The renovated academic areas will provide learning spaces for students across three different colleges and more than 20 majors. The University’s highly anticipated digital library is on-track to complete its design phase this winter. Architects and designers are actively working with students, faculty, and staff to complete the facility’s strategy documents including site selection, space programming, and academic needs assessments. The facility will include new computer labs, expanded archives, and community programming space to serve the school’s growing student population and surrounding areas. This most recent round of support includes more than $1.2 million dollars raised as a part of the University’s four-month “Bring it Home” campaign, which engaged alumni across the globe. “What’s awesome about the GSU community is that we show up to support in a number of ways. 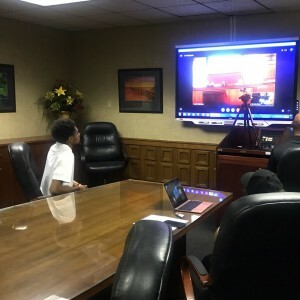 From dollars to internships and volunteering, our supporters make big things happen,” said Marc Newman, Vice President of Institutional Advancement for Grambling State. For more information on campus improvements and changes, follow Grambling1901 on Facebook, Twitter, Instagram, and LinkedIn. 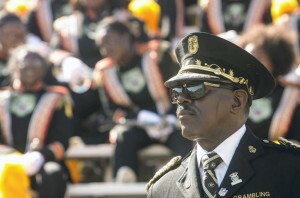 To invest in Grambling State University improvements, visit www.gram.edu/giving. This entry was posted in gramstory, video on June 19, 2018 by Jovan Hackley.